The CPL Universal front caravan cover helps to keep your caravan clean and free of road debris, mud and exhaust emissions, as well as avoiding more damaging stone chips and scratches to the front panel and window. This helps to ensure you arrive on site with a cleaner caravan. 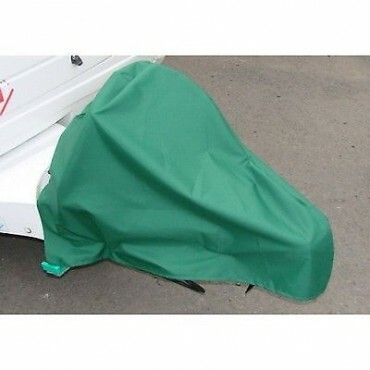 These covers are completely road legal - a problem with fitting any cover over your caravan is that you cover the lights and with a front cover particularly the front marker lights which are a legal requirement. The CPL Front Caravan cover has two built-in LED lights, CE & RoHS Approved (Batteries included). These, combined with reflective bands sewn onto the cover, add additional safety. 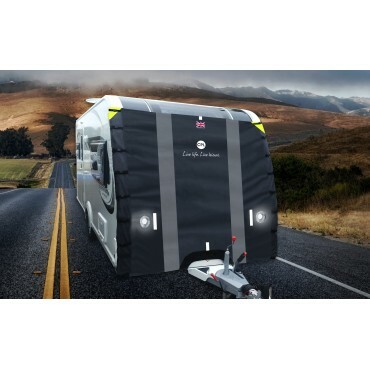 The 4-layer breathable fabric is water repellent with a soft inner layer to help protect your caravan. Attachment is by 8 straps each side to give a secure fit. 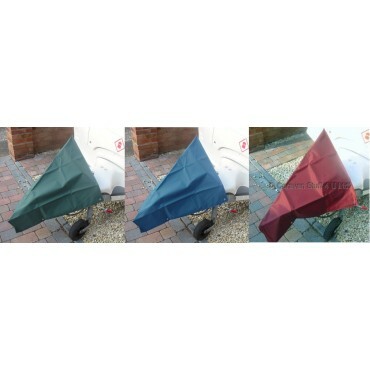 You will need to ensure your caravan has a usable awning channel on each side of the van for attaching as the straps clip in to the awning channel each side of the van. The caravan will need to be between 215 and 250 cm in width. There are also additional securing hitch straps. 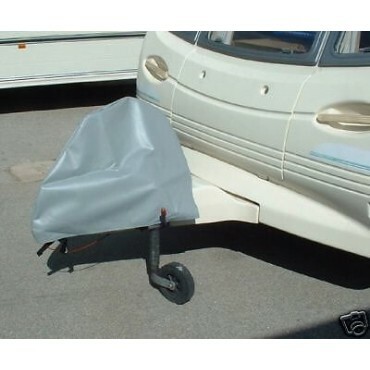 A small price to pay to protect your caravan, preventing damaging stone chip and scratches. As well as ensuring you arrive on site with a cleaner caravan.